If you've ever dreamed of traveling to Indonesia, or one of its surrounding islands, this blog post is for you. In this post, I'll be sharing my experiences from Indonesia like what to do in Lombok, a beautiful Indonesian island and sharing how much things the things I did cost, where you should visit, which activities you should try and where you should stay based on a 7-day itinerary. I had my first glimpse of Indonesia while watching the movie Eat, Pray, Love. A third of the movie takes place in Bali - perhaps the most famous Indonesian island amongst foreigners. I remember sitting in the movie theatre absolutely in awe of the moss-covered buildings, lush rice fields, and dreamy living spaces. My mind began to daydream as I replaced the main character in the movie with myself. 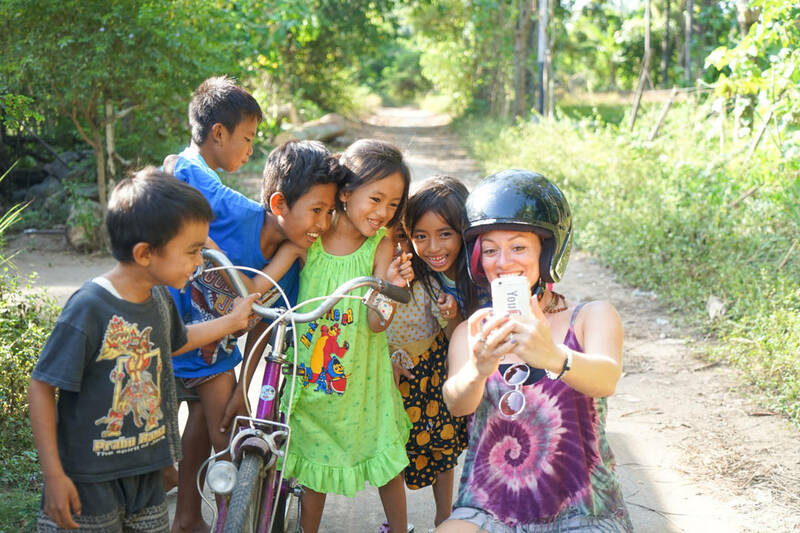 In my dream, I was the one bike riding through the rice fields, laughing with the locals and making out with Javier Bardem… What else is there to do with 1 week in Indonesia, right? Fast forward a few months, my daydream became a reality. I purchased a plane ticket to this fairytale island to live my own real-life movie. Except my adventure took me beyond this one island to several others. One of the more impressive islands was Lombok. I knew I had arrived somewhere spectacular. Besides its jaw-dropping beauty, this island seemed far more untouched and off the beaten path. As an avid traveler, I love finding places like this as I feel more like an explorer; a true adventurer. Although I only spent a short time on the island, I had a feeling that I would be back. Fast-forward to 6 years later, and I found myself, yet again, on this magical island. To my surprise, it appeared just as I had left it - still raw and less explored. 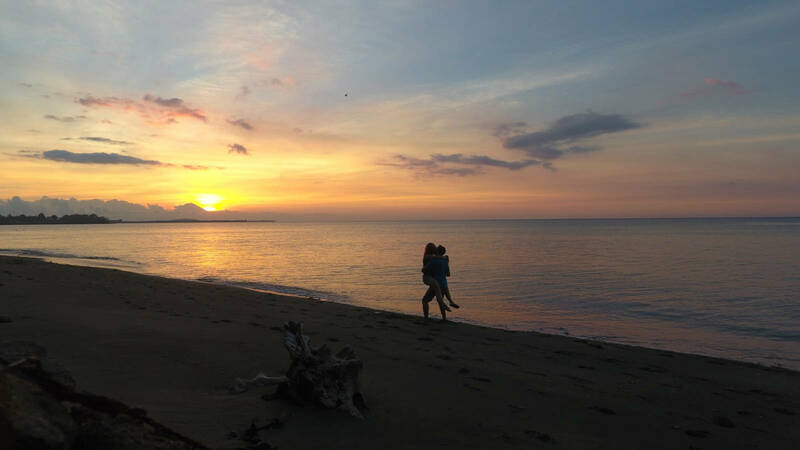 This time around, myself and my husband Siya spent an entire week exploring the south and west coast of Lombok. 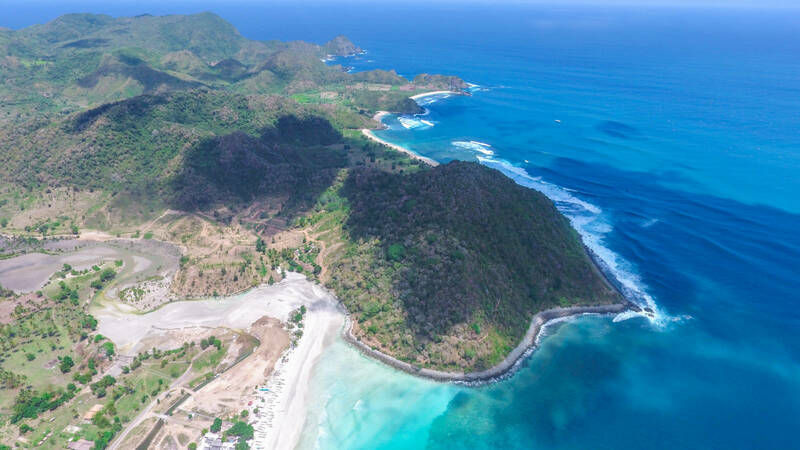 Based on the excellent 7-days of island fun, I've put together an in-depth Lombok guide to help make your trip planning that much easier. FLYING FROM JAKARTA - It’s about a 2-hour plane ride and will cost you under $100 CAD for a one-way ticket. FLYING FROM BALI - A 30-minute flight will cost you a total of $30 CAD one-way. You can depart from Denpasar Airport, and it will take you direct to Lombok International Airport. FAST BOAT FROM BALI - The fast boat can take anywhere from 1-4 hours in calm waters and cost anywhere from around $40-$80 CAD one-way. 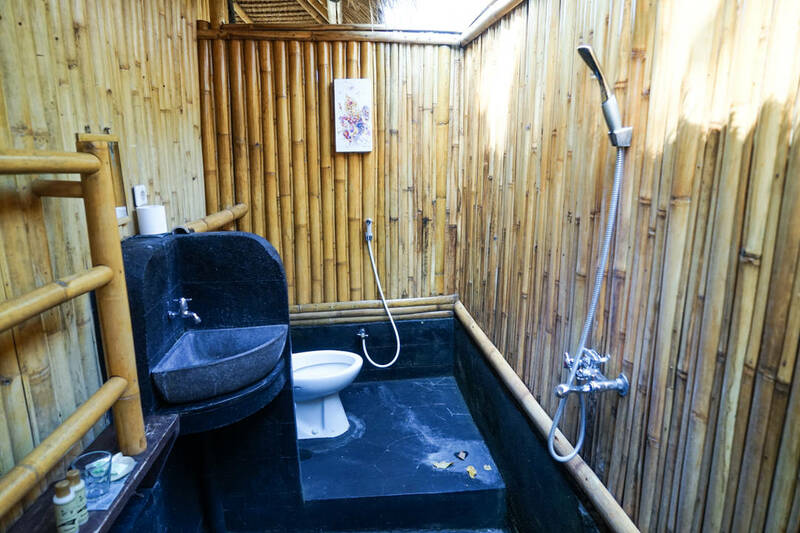 This typically includes an air conditioned bus transfer from your Ubud hotel to the port, bottled water and sweets. SLOW BOAT FROM BALI - If you’re on a budget, the slow boat option from Ubud (Bali) to Sengigi (Lombok), which takes around 12 hours and costs about $15 CAD one-way. 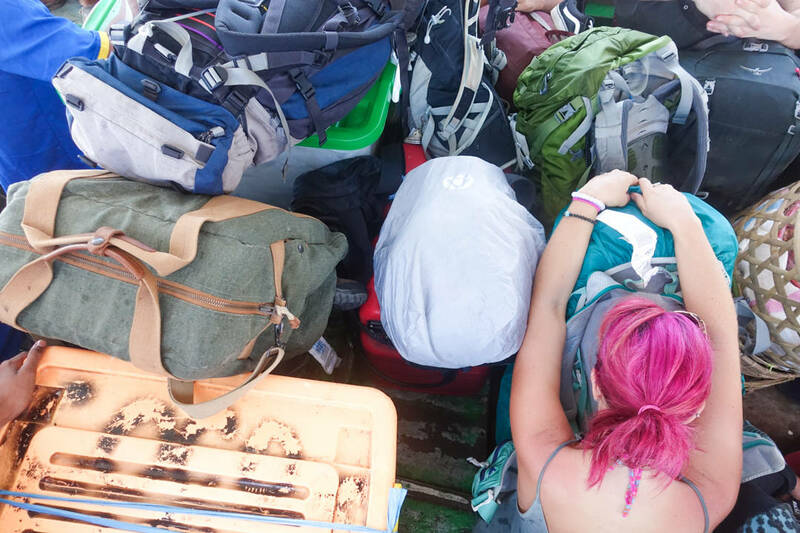 Most of the slow boat packages include a shuttle bus to the Padangbai Port. 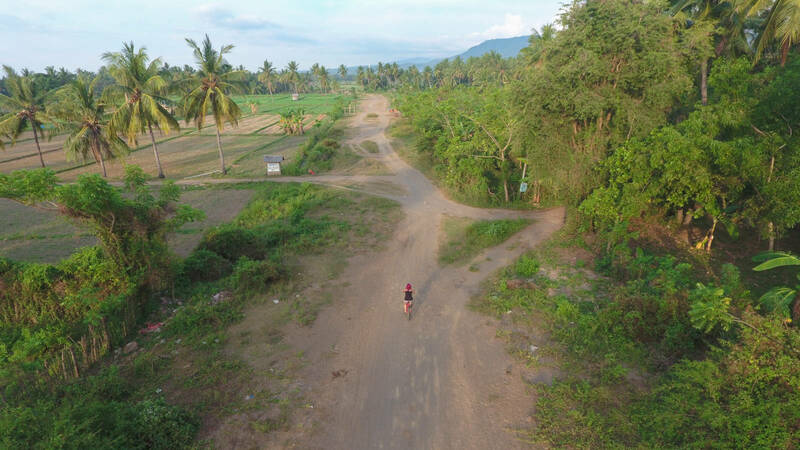 During our 7-day trip in Lombok, Siya and I spent a couple of days in Kuta, a few days in Rinjani and a couple of days on a neighbouring island called Gili Trawangan. If I were to do it again, I would have spent less time in Rinjani and more time in Kuta or on Gili Trawangan. 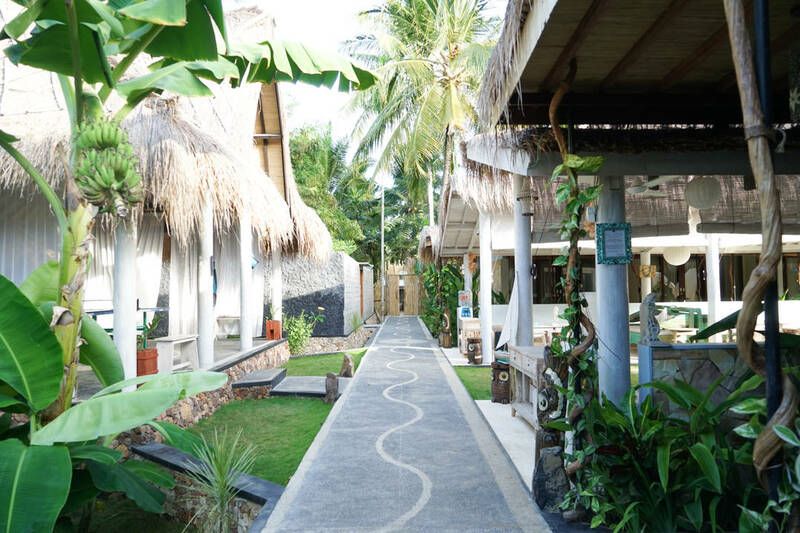 Kuta is a village located on the West coast of the island and is known for its beautiful beaches. It's also a popular place for surfers. Rinjani is a hot spot for the adventurous type. Many travellers that flock to this area are here for one reason, and that is to climb Mount Rinjani. I've heard from other travellers this is a fairly challenging 3-day hike, but well worth it once you see the view of the island from the top. Siya and I have done our fair share of hiking mountains and volcanos and decided to skip the excursion this time around. If you're up for the challenge, I salute you. Gili Trawangan is a party island. This is where the full moon party happens in Indonesia (although I've heard it doesn't compare to the one on Koh Phangan in Thailand). During my first visit to Indonesia, I had spent an entire week on Gili Trawangan. I was so excited to go back since I remember it being a highlight from that past trip. 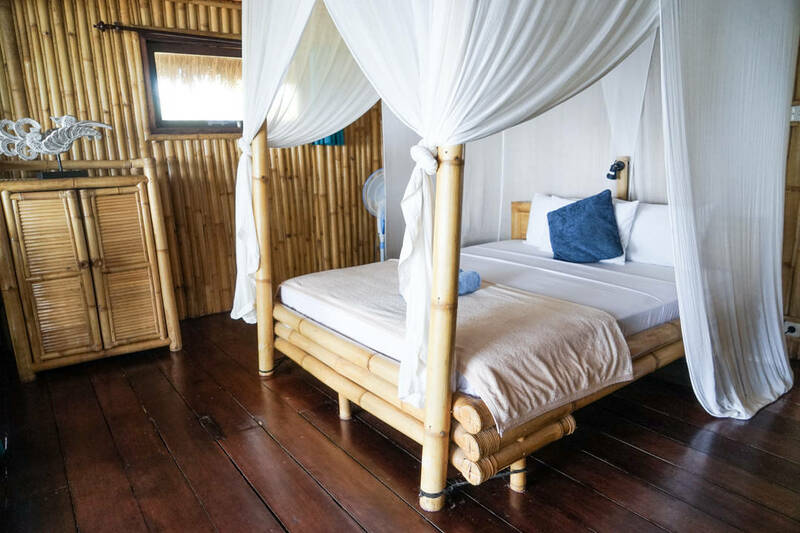 We spent 2 nights on Gili Trawangan this time around and could have easily stayed another couple of nights. 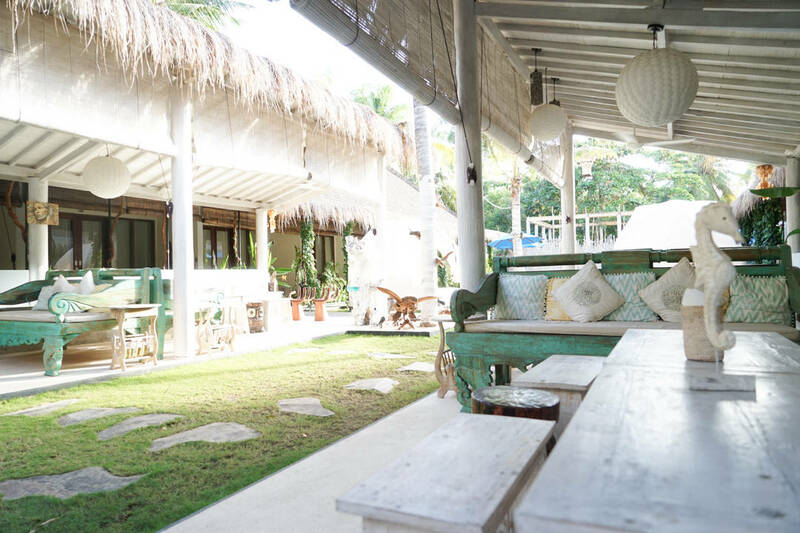 There's so much to do on this island and delicious food to devour. This is an excellent spot for divers and those who love staring at ridiculously beautiful turquoise water. One of my favourite parts about this island is that there are no motorized vehicles. You get around by foot, bike or the famous horse and carriage. The rooms are uber cute! We stayed in one of the pool facing exotic bungalow lofts, which I absolutely loved. 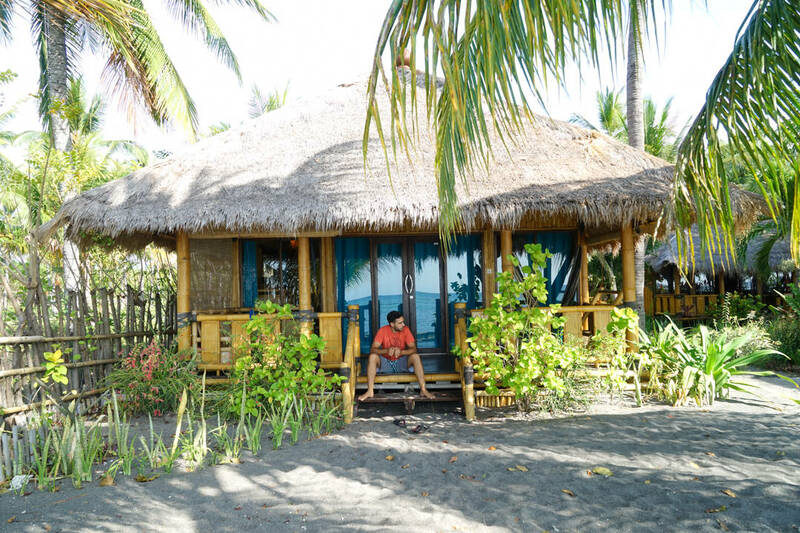 Not only are the bungalows stunning from in inside-out, they have everything you need to make your stay feel luxurious. The cost: $150 CAD / night and can sleep up to 3 people. The food is delicious and healthy. From my experience, when breakfast is included in your stay (which it is here), it consists of a lot of bread, crappy jam, watery eggs and some fruit. 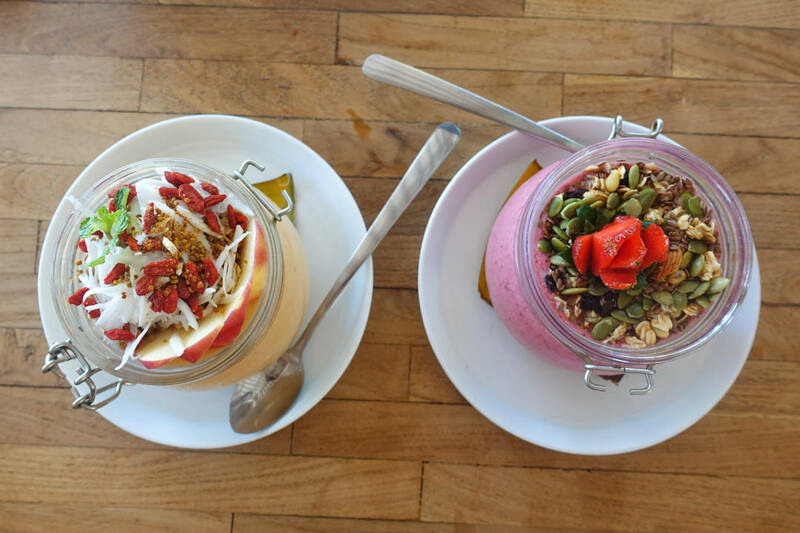 At Kies Villas, you get several "a la carte" options for breakfast including smoothies, delicious coffee, healthy bowls of mixed fruit, yogurt with muesli and even banana pancakes! There are two beautiful pools and several lounging areas for guests to use 24/7. If you love taking beautiful Instagram photos like I do, then you'll have unlimited backdrops at your disposal that will definitely make your friends and family jealous. This place cost us $145 CAD per night and we stayed for 3 nights. For our first night, we were the only ones staying at the resort. For the other 2 nights, there were only a few other couples, yet it still felt pretty barren. At this point in our travels, we had already been travelling for 20 days, so we really enjoyed the silence. When I think back to this place, the first thing I think of is the kindness of the staff. The people working here are very lovely and super helpful. They were extremely accommodating and helped us with anything we needed, no matter the time of day. 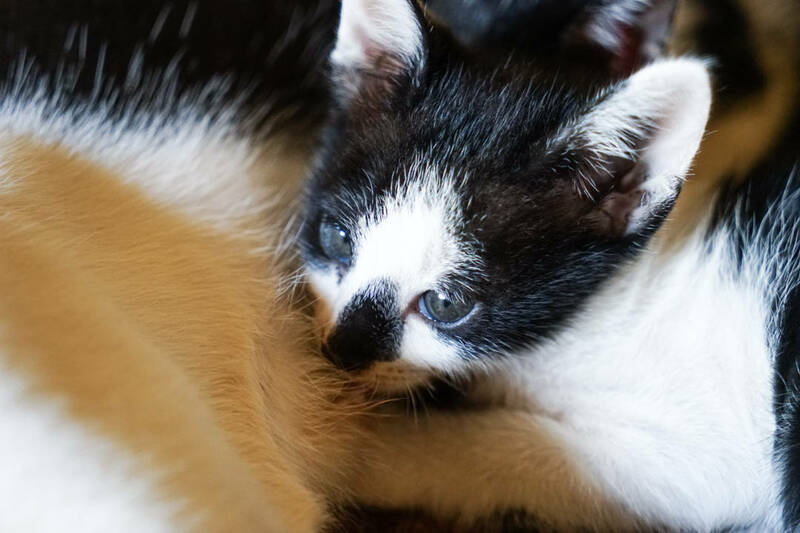 There are chickens and kittens. Enough said. Our room costed us $35 CAD per night for a tripple room that included a simple shower with cold but FRESH WATER (hard to find on the island as most showers are ocean fed), a comfortable mattress with clean sheets and a nice porch to chill on. The owner Paul is an extremely friendly and helpful guy. He immediately made us feel welcome and offered heaps of advice on things to see and what to do in Lombok. Guidance from natives like Paul can really help you uncover the secrets of your adventure. 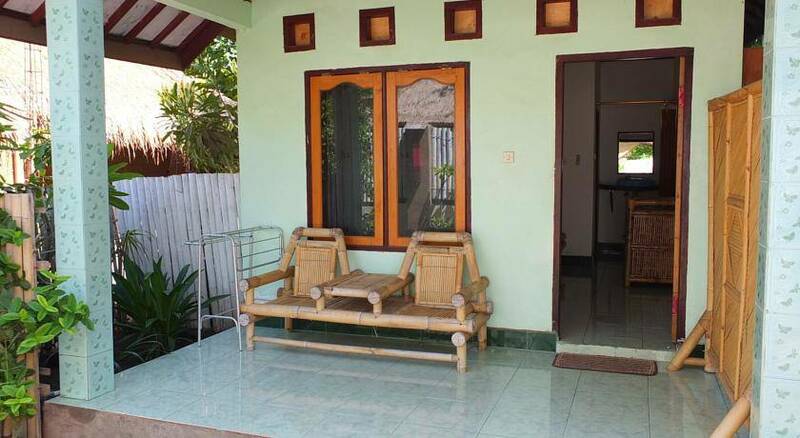 Why Not Bungalows is tucked away on a quiet street, yet is close to everything including the beach. Downside: No chickens or kittens. I used TripAdvisor to find and book all of our accommodations. If you haven't heard of Trip Advisor before (which I'm sure most of you have), it's an excellent resource for reading reviews on accommodations, restaurants, tour and transportation companies from millions of travellers. It also offers a wide variety of travel choices based on your budget and planning features that check hundreds of websites to find the best hotel prices. I've been using the website for years to help me plan my travels. Kuta is an excellent place if you're interested in surfing. Neither Siya and I had tried surfing before, but we had been dying to give it a try. 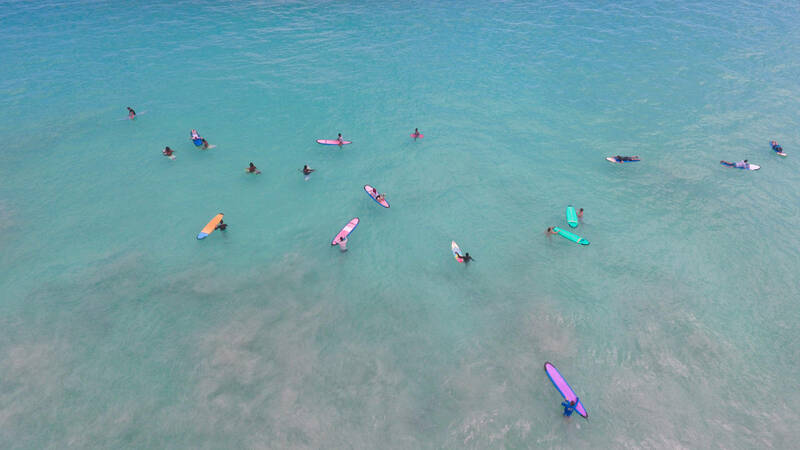 We signed up for lessons with Kimen Surf which includes a 30-minute amusing and gorgeous ride to Selong Belanak Beach, a 30 minute lesson and 2 hours on the water for $80 CAD for two people. I've got to say, that both Siya and I turned out to be naturals at this water sport and now are kind of obsessed with it. If you're going to learn anywhere, Selong Belanak Beach is the place to do it! 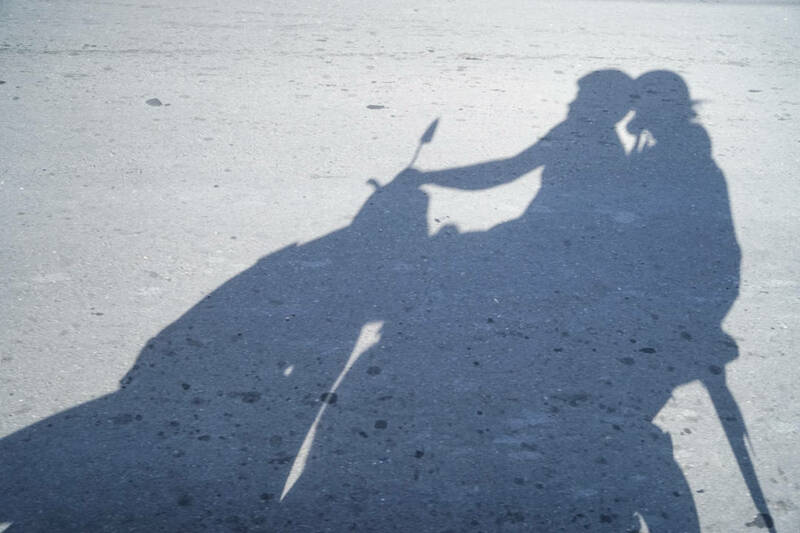 The best way to explore the island is by motorbike. Most hotels or guest houses have motorbikes for rent. This will cost you about $5 CAD per day and about $2 for a full tank of gas. Make sure you protect that beautiful noggin of yours and wear a helmet! Be extra careful when driving around Lombok as there are many steep hills with sharp twists and turns. While the main road is well paved, most of the side roads aren't. 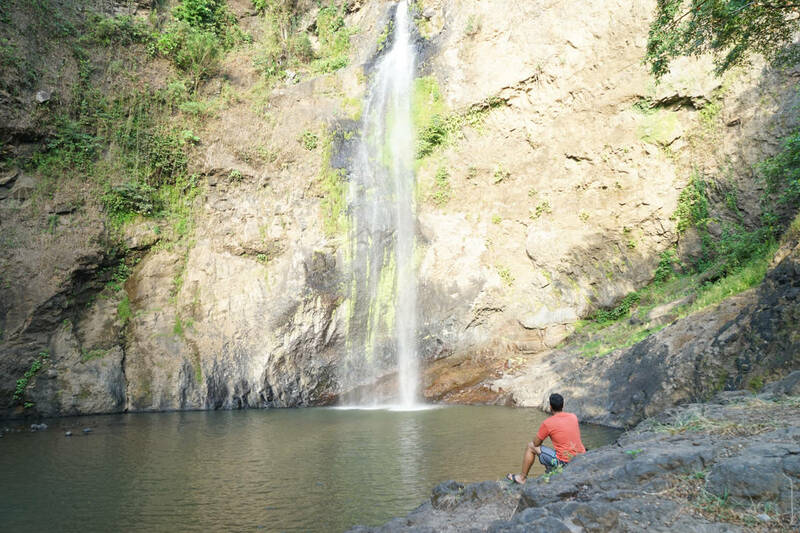 There are some really beautiful waterfalls located near Rinjani such as Tiu Kelep and Sindang Gila. You can join a tour which will take you to several waterfalls, or you can do what we did, and find them yourself. Be aware that there are several men on the waterfall path that will ask you for money to see the waterfall. This is a scam. The waterfalls are free to look at. 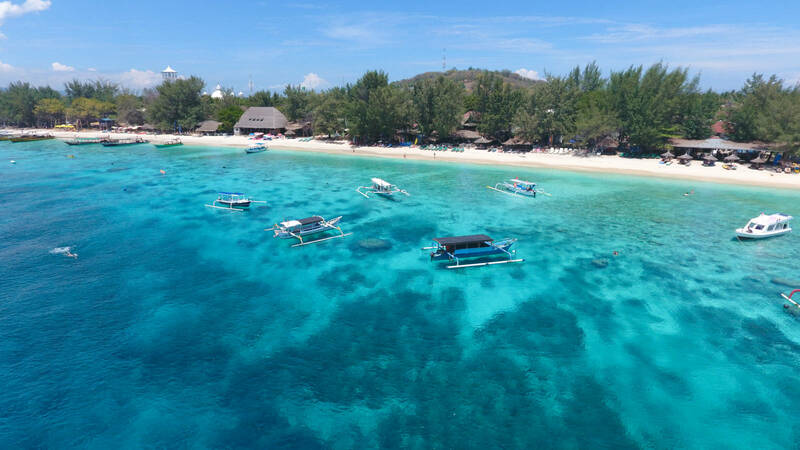 A trip to one or all of the Gili Islands is a must! 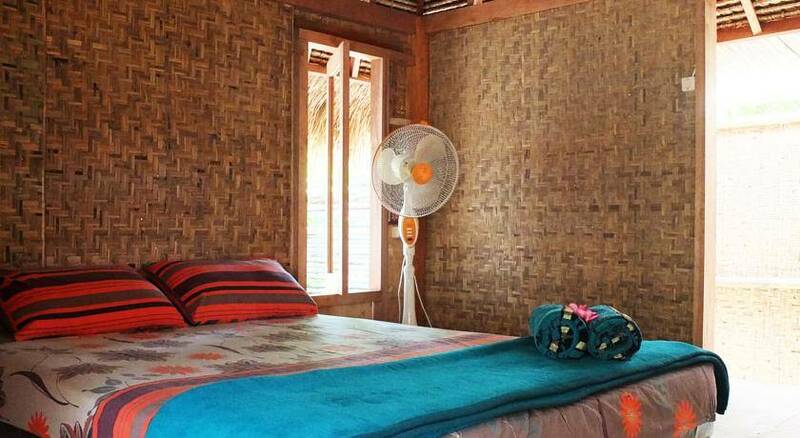 The quieter, less visited Gili Air and Gili Meno along with the livelier party island of Gili Trawangan are located only a short boat ride from Lombok. You can either take a day trip to one of the islands or spend a night or two. Snorkelling on Gili Trawangan is magical. It's not hard to find an abundance of sea life to gawk at. We even got up close and personal with a reef shark during a solo snorkel session. Scary? A little, but also pretty damn cool. 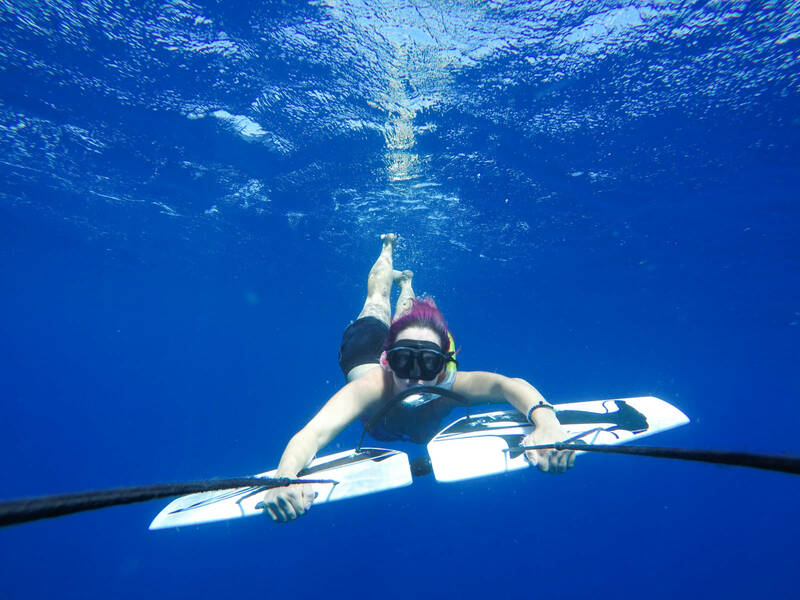 There are several water sports to try while on Gili Trawangan including: scuba diving, free diving, stand up paddle boarding and Subwinging. Siya and I signed up for a morning Subwinging tour with Subwing Gili Islands (the only company in Indonesia who does it). It costed us $15 CAD per person and we got to fly underwater for an hour each. 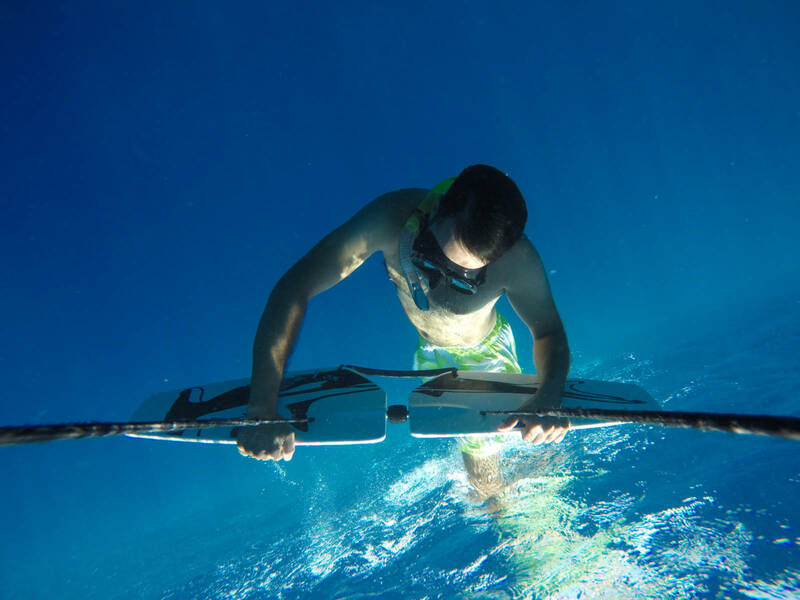 This water sport can be as lazy or as crazy as you want it to me. Basically, you hold on to a pair of wings that are strapped to a back of a moving boat. As the boat pulls you along the water, you can dive in and out, do twists and turns or just lay flat and watch the sea life pass you by. 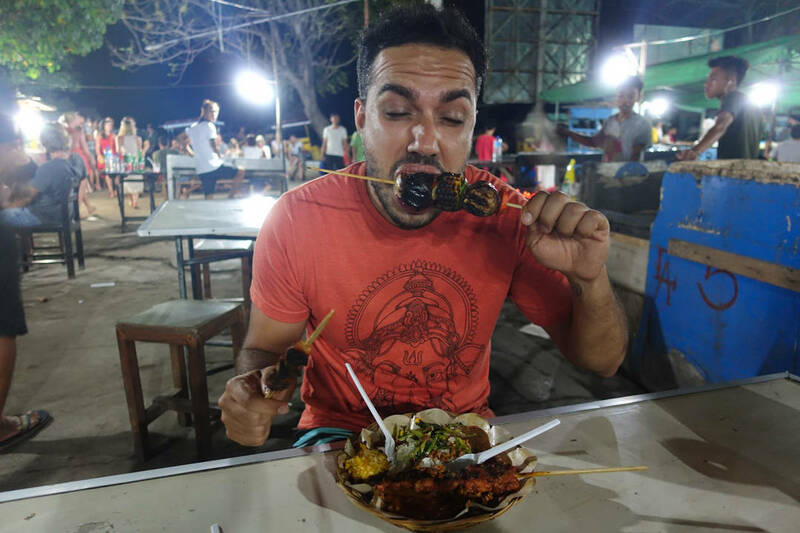 Visiting the night market on Gili Trawangan is an awesome experience! The food here is both delicious and cheap and the atmosphere is chill yet lively. It's definitely worth checking out! You’re very welcome. Lombok is underrated I think. 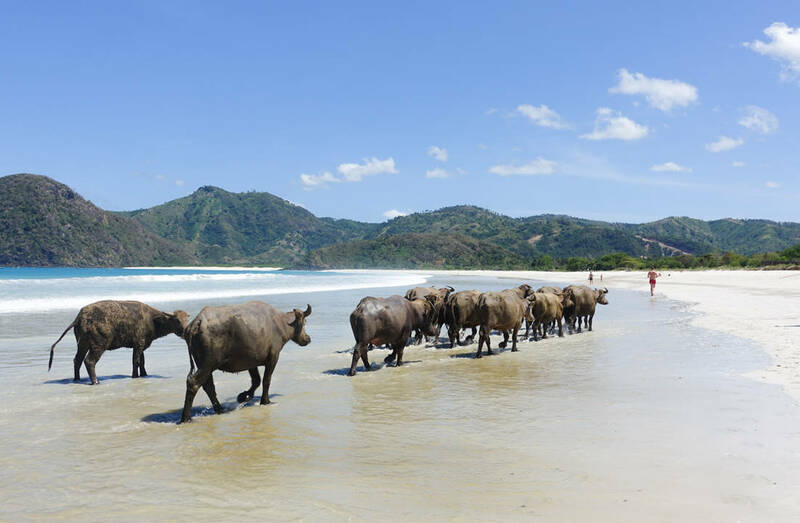 Most people go to the Gili Islands or Bali when visiting Indonesia, but Lombok has a lot to offer. We are planning to stay 7 days, what is the best central area to make our base to visit the island, we plan to visit the area of tetabu and central area, some beaches. We don’t like busy areas. We found that Gili T is pretty polluted in many areas compared to the first time we went there 8 years ago. The island of Lombok was great. No many travellers stay here compared to other areas, so it’s less touristy. We never got harassed. Nice trip in Lombok ! Awesome! We love Lombok and can’t wait to go back. 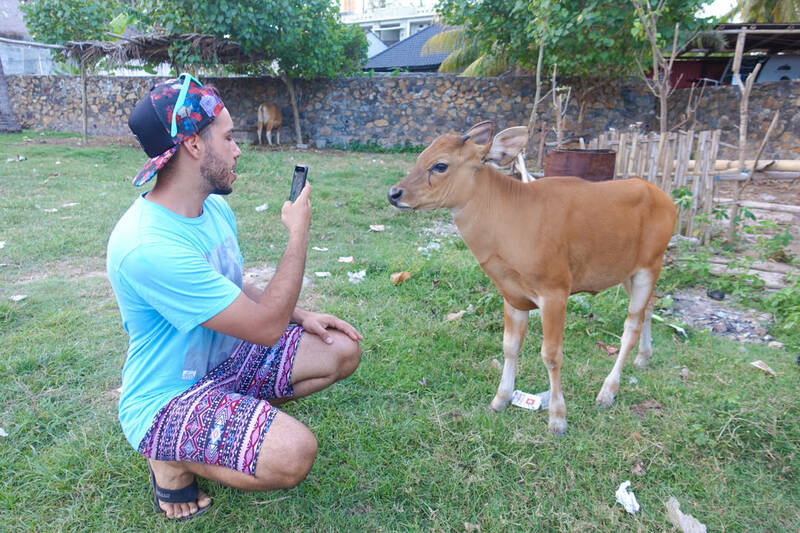 Your blog on Lombok is fantastic! My wife and I have 5days in Lombok, we plan on exploring the main island and giving the Gili\’s a miss (we have read that they are overcrowded and dirty). 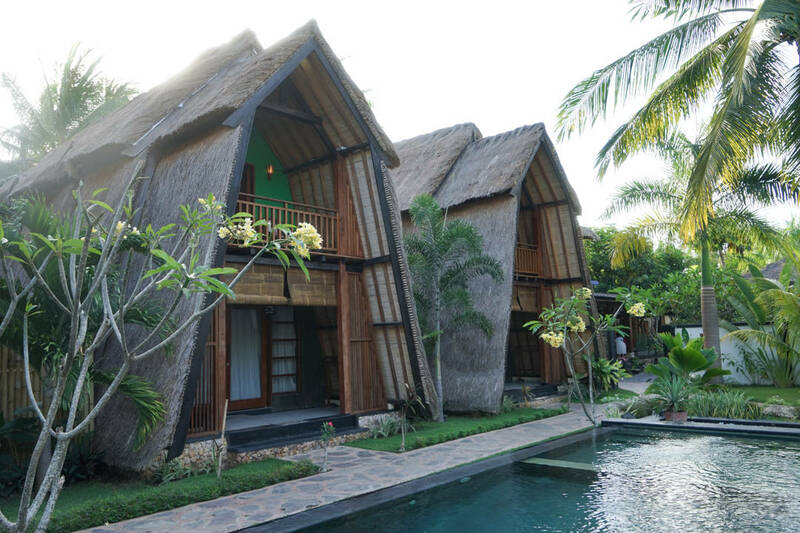 Do you think the three Gili\’s are a must visit and we would be missing out on something if we don\’t visit them? Thanks for some good advices :)) going there soon! Riding a motorbike in Indonesia and other parts of the world is one of my favourite things to do in life haha. It’s feels so free and is just so much fun. Indonesia is one of my favourite countries. It’s absolutely gorgeous, and I can’t wait to go back. We spent a week in Lombok with our kids recently as well and I would love to return to stay longer next time!! Such a peaceful destination in comparison to the ever popular Bali! Love the laid back vibe and the reggae following you around everywhere!! 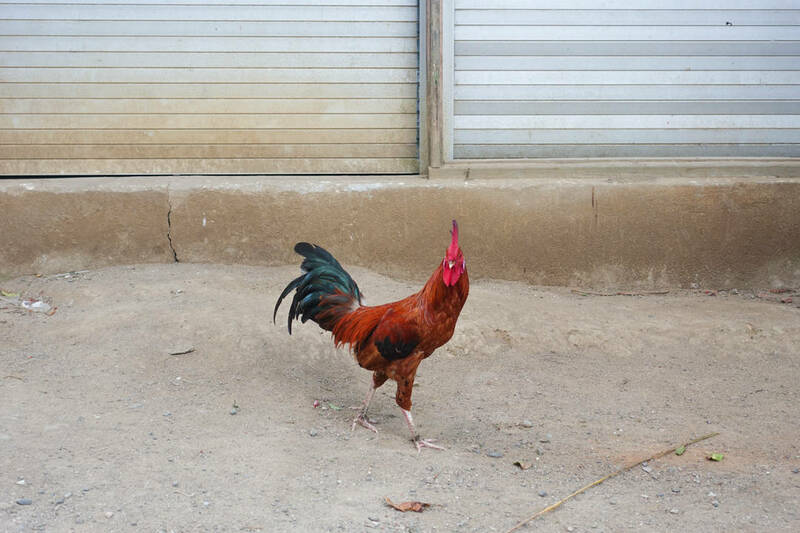 Gorgeous photos too … takes me right back to the beautiful island! Absolutely gorgeous place. We have been to Bali 5 times but not to Lombok yet. I see it as Bali, 30 years ago. A step back in time, to a quieter, more serene space, as you noted. I’m glad you enjoyed this post! You gotta spend some time on Lombok next time you visit. It’s really great and less tourist. My name is Diksha, I am from India.. First of all I would like to congratulator you for your journey soo far and your blog looks beautiful. I think it’s wonderful to see an independent women living her dream. I wanna start my Travel dairies soon. I wanna start with solo traveling hopefully soon (truly nervous) and I have been doing little research on topic like travelling alone, managing travelling with less funds and how to plan a trip. I just wanted a little guidance from you. I believe you have used couchsurfing.com in the past, if you could share your experience with me that would be great. Thanks for reading. Wish you all the very best for new trips !!! Wow, great guide and nice photos. Will waiting for your next article! Stunning photos and experience. I think Lombok has become a popular site to visit other than Bali. Of course Lombok has many attractions especially the Gili Trawangan. Its glad to know that people now recognize Lombok too and other places in Indonesia, not only Bali. Thanks Cara. I’m glad you find my blog helpful! Lombok was beautiful. I love how it’s not as visited as Bali, but has so much to offer. The surfing lessons was my favourite. Getting to surf for the first time on that beach was unreal. Hi Kristen. These photos are beautiful. I look forward to watching your videos from the trip. When will you be posting these? This is one of my favourite blog posts. What great detail you’ve provided. Me and my wife really want to go to Indonesia now. Thanks so much Rob! Siya and I both love taking photos to capture some of our favourite moments on our trips. I’m glad they have inspired you to visit Indonesia. You’ll love it there. The country is like a fairyland, and the people are wonderful. Thanks Ashley! Gili T is so much fun. There is so much to do there. Next time I go back, I want to go paragliding and try free diving. I would also go subwinging again in a heartbeat. Such a cool and unique experience! Also, if you’re going to be visiting Lombok, you should spend a couple of day on the Gili’s instead of just day trips. Only going for the day isn’t enough time in my opinion. Bali is at the absolute top of my wanderlust wishlist right now and this post has extended that to the whole of Indonesia – uh oh, looks like I’m going to have to save up my pennies! Lombok is so awesome! I’d at least spend a couple of days there. Rent a motorbike and explore. It’s the best and the locals are so friendly!